More than any other German automobile, MINI projects the philosophy of “fun to drive.” MINI owners tend to be enthusiasts who want to get the most out of their cars. We enjoy working on them too. Our shop has the current software to diagnose and repair your MINI and we are well versed in MINI service, repair and maintenance. We invite you to stop in and take a tour of our facility. Whether you need routine maintenance like oil & filter changes, or major repair done to your MINI, we have the expertise to make your MINI happy again. The Mini Cooper brand has expanded to some sensational new models: Clubman, Countryman, Coupe, Convertible, and Roadster. 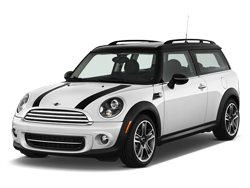 Your Roseville Auto Repair – Bertinis, is able to repair or service each of these exciting MINI models. Bertinis is truly committed to being the one of the best MINI service shop in the Roseville city area. Schedule an appointment today so our exceptional staff can take care of your MINI service!